A recent study out of Harvard confirms Twitter is all vanity. This is not a big surprise to the dictionary team at Oxford University Press. OUP lexicographers have been monitoring more than 1.5 million random tweets Since January 2009 and have noticed any number of interesting facts about the impact of Twitter on language usage. For example the 500 words most frequently used words on Twitter are significantly different from the top 500 words in general English text. At the very top, there are many of the usual suspects: “the”, “to”, “as”, “and”, “in”… though “I” is right up at number 2, whereas for general text it is only at number 10. No doubt this reflects on the intrinsically solipsistic nature of Twitter. The most common word is “the”, which is the same in general English. Verbs are much more common in their gerund form in Twitter than in general text. “Going”, “getting” and “watching” all appear in the top 100 words or so. “Watching”, “trying”, “listening”, “reading” and “eating” are all in the top 100 first words, revealing just how often people use Twitter to report on whatever they are experiencing (or consuming) at the time. Evidence of greater informality than general English: “ok” is much more common, and so is “f***”. And that is how we roll here at OUP, monitoring new social media and the changes in the English language up to the minute. Tweet on. 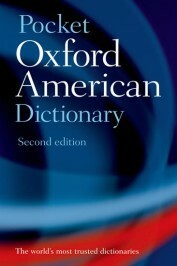 Purdy is Publicity Director of Oxford University Press USA in New York. Likely the first messages sent by telegraph differed from handwritten letters in much the same way. As email use begins to decline and forms of human and machine communication shift to real-time services such as Twitter, significant patterns of language usage will appear. Glad to hear the OED is listening. The most interesting fact about the use of twitter is that it’s proof that the pace of life is speeding up–and that haste in resulting in greater self-interest and less compassion. After all, when you’re in a hurry your less apt to care about anyone but yourself. If you ask me, researchers should be studying how we can benefit from computer and communications technology without internalizing the “machine values” of speed, efficiency, and standardization. Of course, a Tweet that simply says, “Watching American Idol” could be ambiguous, but I still imagine that as a participle where the subject and auxiliary verb are understood. Good start. The prevalence of gerunds is not surprising, given the present-tense question that prompts the user. What have you found about the word-length and sentence length, in comparison with (a) language in general, (b) other forms of electronic communication, (c) other terse forms of electronic communication (e.g., SMS)? What have you found about the vocabulary choices, in comparison to the same domains as listed above? Does twitter form a sociolect? Of course there is an especially high number of “ing” verbs. Are you guys unaware that the entire point of Twitter is answering the question, “What are you doing?” That is the premise upon which it was built. Interesting information. But it’s obvious that Twitter doesn’t represent the English language. Like texting, it uses its own rules and conventions. I can see it changing the English language over time, just as texting has, by implanting certain shorthand slang.